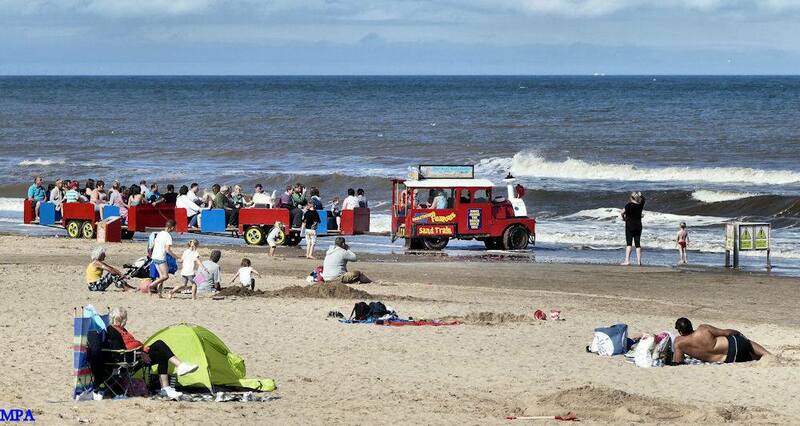 Mablethorpe Sand Train has been providing guests to the resort, trips along the seafront since 1952. 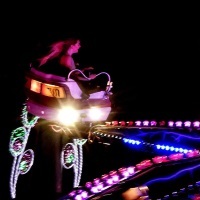 This has become a favourite for generations of children over the years, and one of Mablethorpe's longest standing attractions. 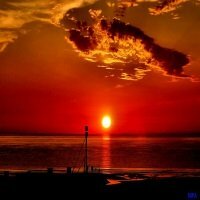 I can always remember as a child riding on the Sand Train in the summer holidays, and loved the part where it rides right along the sea. 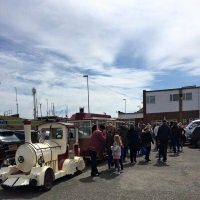 You can choose to ride the Sand Train for a pleasurable trip along the coast, taking in the scenery and the sea air, or this can also be used as a mode of transport between the holiday parks down Quebec Road. The pricing of the Sand Train is very reasonable, and it's an exciting and memorable way to make your way into the town. The Sand Train has 6 drop off and pick up points along the beach, they are numbered on visible wooden structures and also contain the route and pricing for each drop off point. They are as follows. 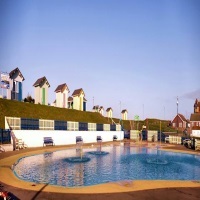 An excellent discount price of £1.70 is available for a round trip, which takes around 20 minutes, under 2s ride for free on the Sand Train, and dogs are also welcome aboard. Please note that under 12s must be accompanied if riding on the train. 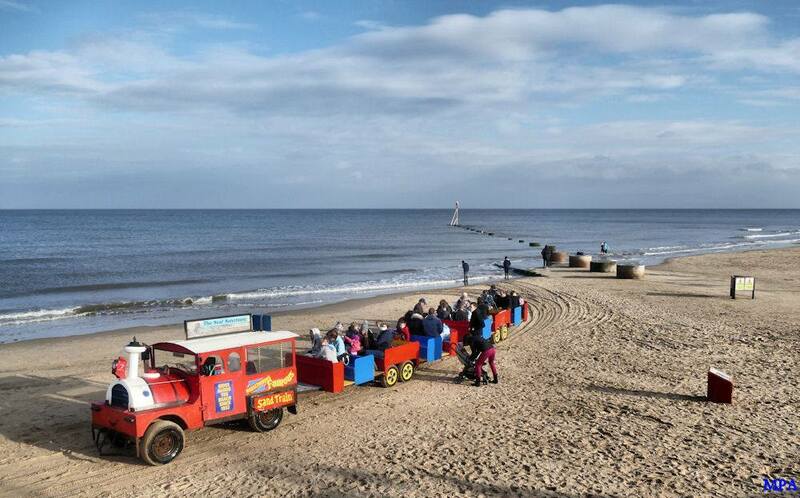 The Sand Train starts offering trips from around 10am in the morning, and continues throughout the day until the sun begins to set, this means that the operating hours can vary throughout the season, depending upon the time of the sunset. The season for the Sand Train begins in March, and continues until the end of October.